Frontier Homestead State Park Museum is a historic site and a great family attraction in Cedar City, Utah. Plan for a day of educational fun as you learn about the frontiersmen and women who settled the area, and how it became the town it is today! After an enjoyable visit to the Frontier Homestead State Park Museum, make sure you’re informed about all the rest that the area has to offer. 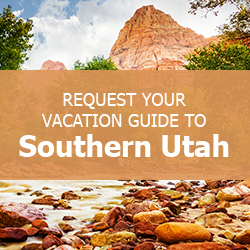 When you’re ready to venture out and explore, a copy of our complimentary Southern Utah Vacation Guide will be exactly what you need. It contains suggestions for awesome outdoor activities, restaurants, attractions, and all kinds of things to do in Brian Head, Panguitch, and Duck Creek. When you download the Vacation Guide, you’ll have everything you need to make memories that you and your loved ones will cherish for years to come. Check it out, and begin planning your ultimate Southern Utah family trip today! Frontier Homestead State Park Museum details the history of the beginnings of Cedar City, Utah. When iron ore was discovered in the state in 1847, Brigham Young commissioned volunteers to colonize the area. An iron foundry was established, and the museum was established to honor and remember this history. It also includes archeological and Native Heritage exhibits. After a fun day at the Frontier Homestead State Park Museum, take the next day to venture out to explore the rest of what Southern Utah has to offer. See gorgeous scenery, explore our other amazing parks, or hike a nature trail. When the day is done, relax and stargaze at our beautiful night skies. Enjoy a nice home cooked meal at your Family Time Vacation Rental. Whatever you choose to do next, our gorgeous, spacious homes provide some of the best places spend time with your loved ones in Southern Utah! Have the Best Day at the Iron County Fair! — How to Unplug Your Family and Make Them Love It!